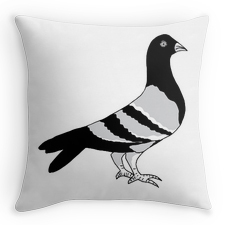 Valentine’s Day is coming up soon! 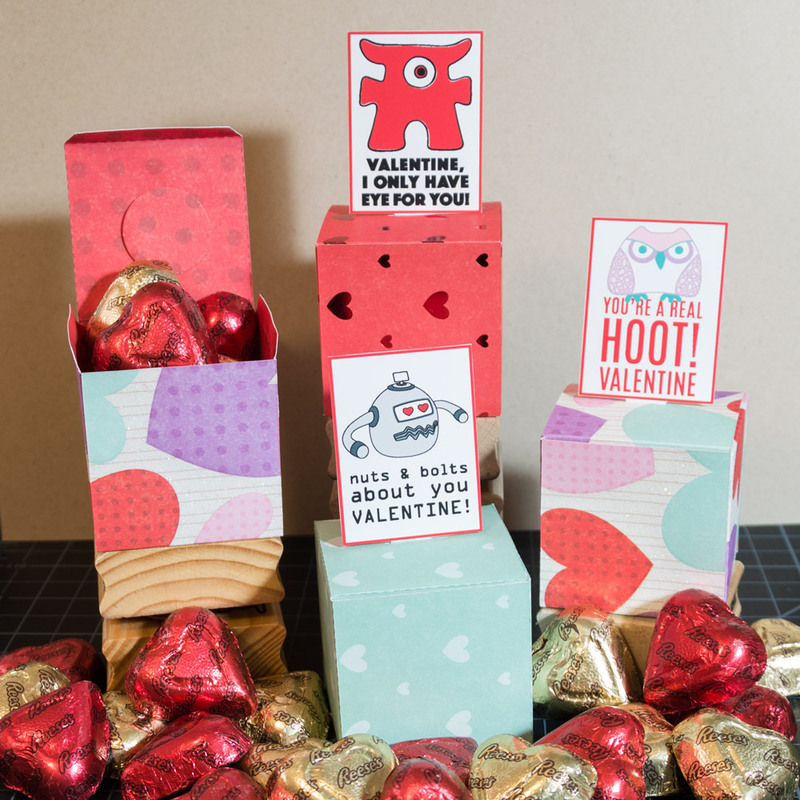 Whether you need to pass out Valentine’s to a whole class or just need one for someone special, this is an easy little project to help you out! You can download my template at the bottom to print out the boxes onto your scrapbook paper. There is even a template with some box toppers to print, or you can make up your own. Cut, fold, glue, and fill ’em up! You can see the dashed lines of the template printed here. Start by choosing your patterned scrapbook paper in a 12 x 12 size for two boxes, if your printer doesn’t print that wide there is also an 8.5 x 11 size for one box. Print onto your decorative paper with the template on the side that will be the inside of your box. Now you need to score the lines that you are going to be folding (all of the lines inside the perimeter of the template). I use a ruler and my nifty Fiskars embossing stylus. If you don’t have something like this you can use the curved edge of a paperclip, just run it along your ruler for a nice indented line that will make folding easier. Next you will cut out the entire outside edge of the template using a craft knife or scissors. Next you will fold along all of your scored lines. Crease the lines with your fingernail or a bone folder. 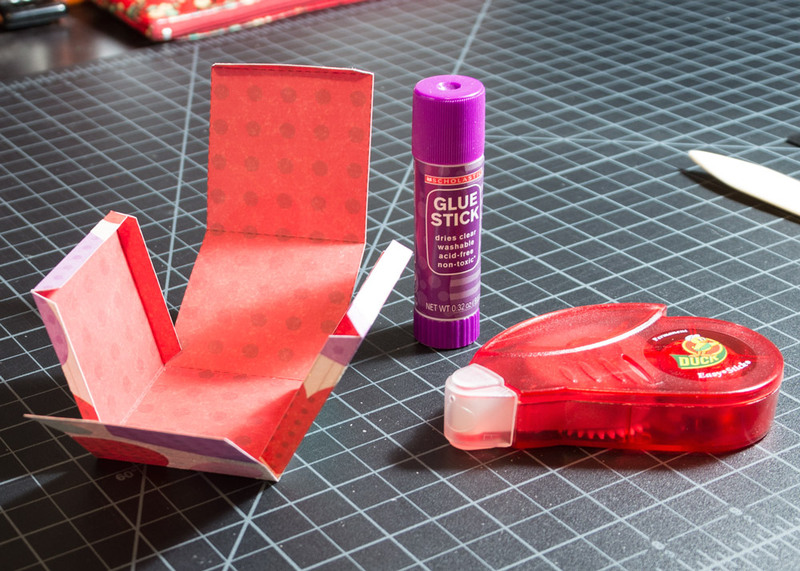 Once everything is folded, you will glue the box together. 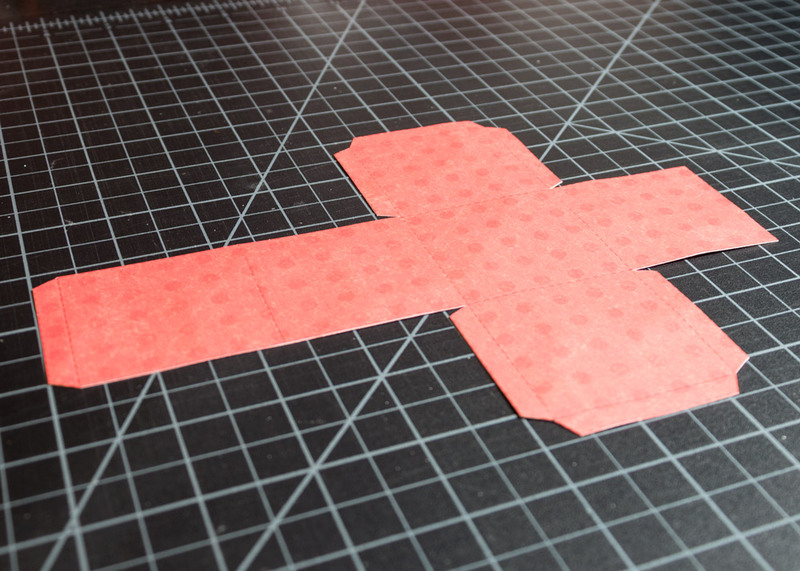 You can use a glue stick or a self adhesive tape runner for instant results. 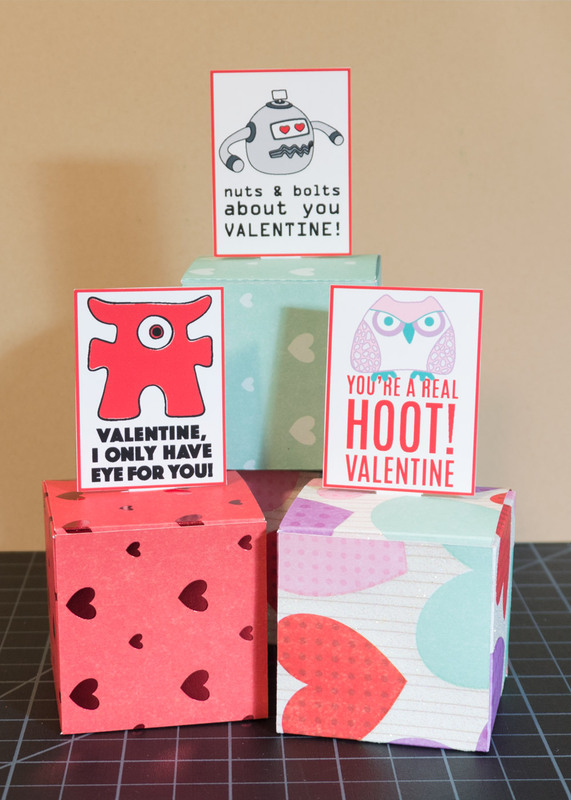 Next you will cut out the Valentine toppers for the boxes or cut out your own printed or stamped designs. Make sure and leave a tab of paper attached to the bottom of your design so that you can insert it into the box. 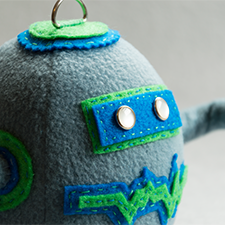 You will also need to punch a small circle, 1″ or 1.5″ works, or cut them out by hand. 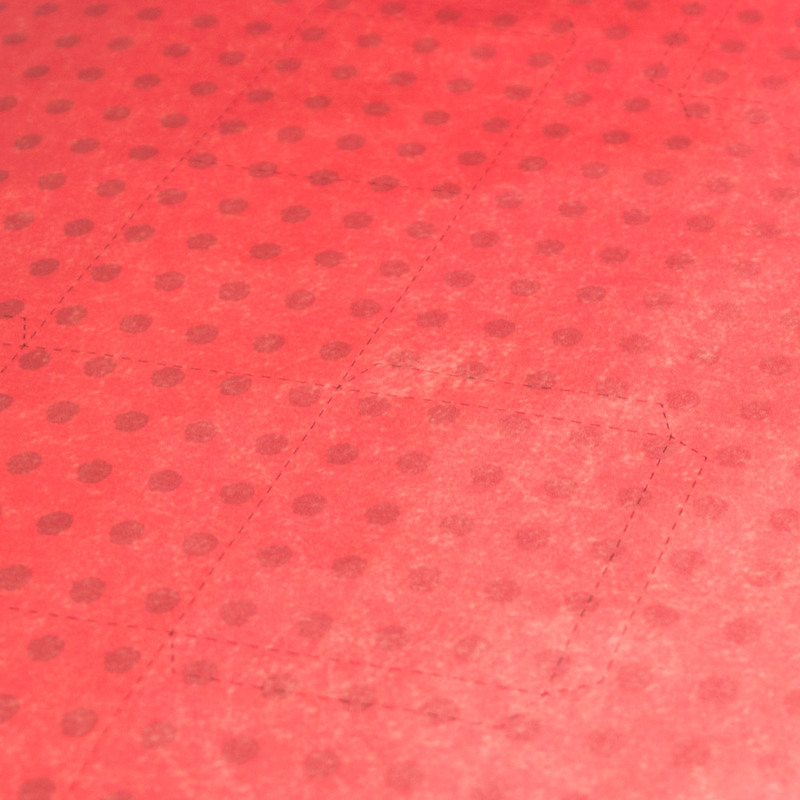 These circles will be out of the same patterned paper, one to match the inside of each box. 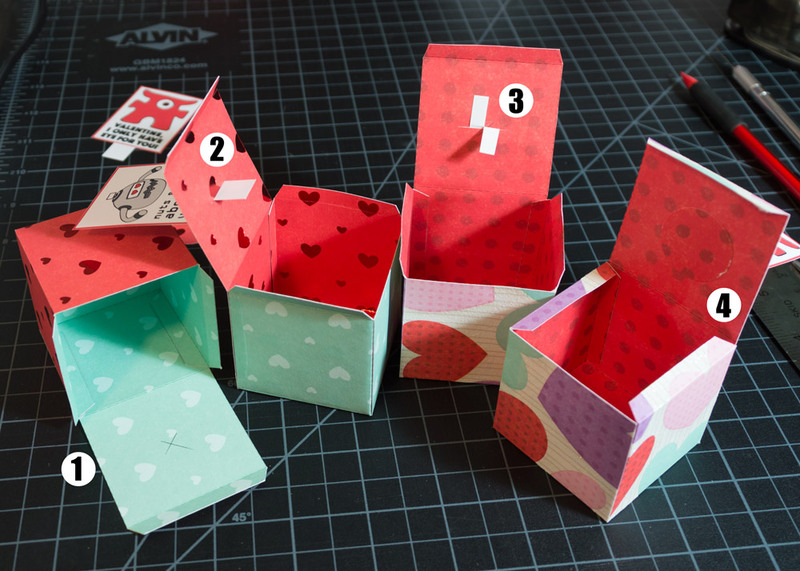 When you get to this stage you are going to be inserting the Valentine toppers into the boxes. See the image below for the four steps to follow. Draw a line with the ruler touching each diagonal corner of the box top, you will end up with an X that marks the center. Using a craft knife, cut a slit through the center of the box top to match the width of the tab you cut on your topper. Insert the tab into the slit. Using scissors, cut the tab in half vertically and fold one half up and one half down. Glue your punched out circle in matching paper over the tabs to secure the topper in place. Once you have made all of your boxes, fill them up with just about anything! 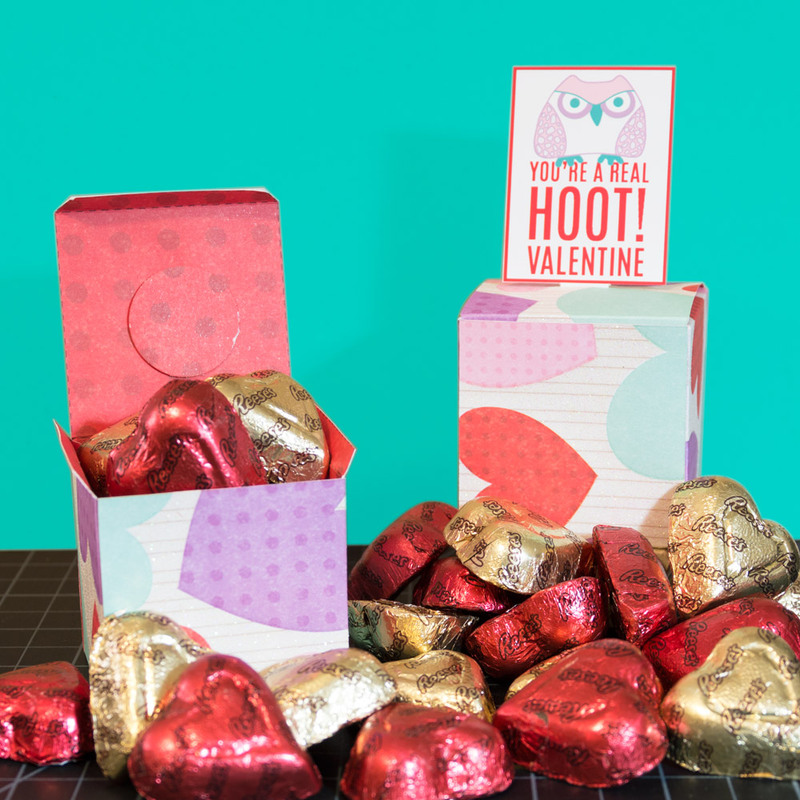 I got some Reese’s Peanut Butter Hearts for mine but there are so many choices for Valentine candy that you could fill each box with a different thing if you wanted to! I hope you enjoy this little project, post a picture of your creations on the Created By Jess Facebook page! Click below for the .pdf templates and box topper artwork. Created by Jess Blog at WordPress.com.